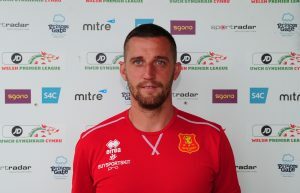 Leslie signed for the Robins in summer 2018 after spells at a number of non league clubs. The Scottish born midfielder came through the youth system at Shrewsbury Town, playing 103 times in a six year spell in the football league. He had two loan spells a Hereford, before leaving the Meadow and playing for AFC Telford United, Wrexham, Worcester, Solihull Moors and Corby Town.